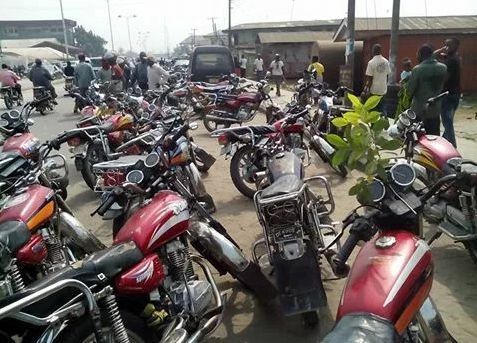 Lagos Government have began a massive hunt down of Okada riders across the state. The crackdown which began on Monday was directed by the state governor, Akinwunmi Ambode. The governor had directed that Police and other agencies concerned to redouble efforts to ensure the law is complied with, assuring that the clampdown will be sustained vigorously on a daily basis. But motorist complained that the crackdown is way beyond what was stipulated in the Lagos Traffic law that banned Okada in specific areas. They claimed the law only barred okada services on major state road and not inner road and streets as it is been currently enforced. They said Okada riders that ply inner streets and lanes that are inaccessible to vehicles are also being arrested, thereby forcing untold hardship on Lagosians whose house are far from the major roads.